In this episode, Jared and Alex chat with Elizabeth Wipff of Strong and Bendy (http://www.strongandbendy.com/) on finding your WHY and how she teaches people transcend the BS and do awesome things. and many more ways to become more in tune with what makes you tick and how to manifest it through your work. Elizabeth Wipff is a personal leadership coach, movement and mobility specialist, CrossFit coach and Yoga Tune Up® teacher trainer with an insatiable eagerness to help people upgrade their bodies and their lives. Her athletic endeavors started early: she walked at 7 months, was roller skating at 3 and did her first yoga pose at 4! 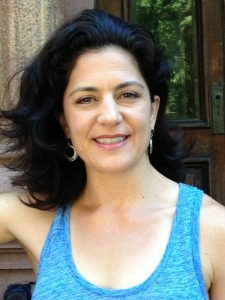 As a kid she played soccer and studied dance, voice, theater, Iyengar yoga & therapeutic movement modalities. She is now crazy about about competing as a masters level Olympic Weightlifter. This lifelong passion for movement; years of performance studies; enthusiasm for fostering healthy functional movement in her clients; and knack for communicating information concisely and convincingly make her a sought after teacher and coach. Certifications and trainings include: CrossFit Level 1, CF Gymnastics, CF Kettlebell, CF Coaches Prep, CF Olympic Lifting, CF Movement and Mobility, USAW L1, Gil Hedley’s Compassionate Cadaver Lab, Yoga Tune Up® and multiple yoga teacher trainings. 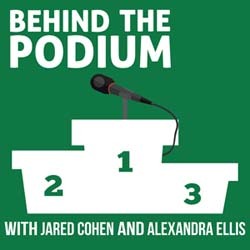 For references of everything mentioned in this episode, head over to http://behindthepodiumpodcast.com/. If you enjoyed this episode, please leave us a review!